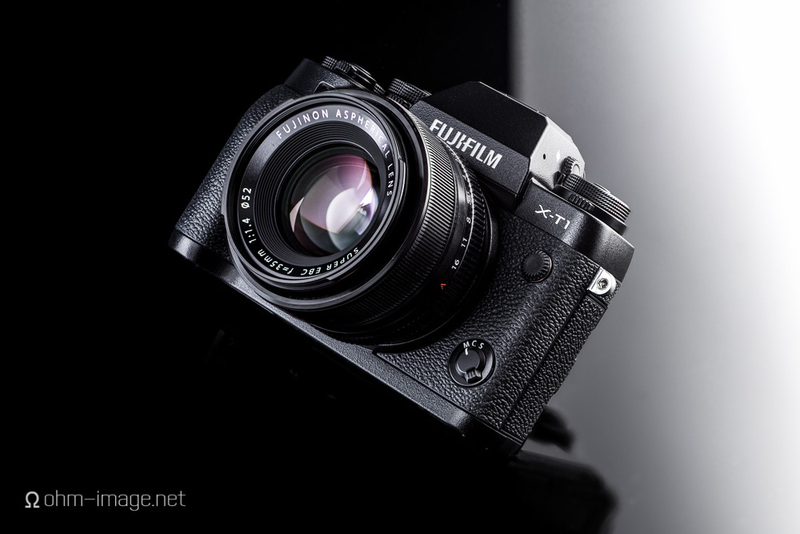 I took delivery of the X-T1 this morning, and wasted very little time fawning over it. I've already made hundreds of exposures and mashed it to three different Nikkor Ai/pre-Ai lenses. I even tried out my wife's Fujinon XF 35/1,4. The short of it is that the X-T1 is is a far better camera than I had hoped. It is better than Fujifilm's flagship X mount camera (and my hitherto favourite mirrorless camera) the X-Pro 1. As long as the deciding factor isn't the sensor, it is also a far better camera than the Sony A7r, which, as a camera, I famously detest. (Incidentally, every image of the X-T1 in this post was taken by the Sony A7r.) The X-T1 is sturdier, it is much easier to use, it requires very little menu time. Its EVF, while not perfect, is faster and clearer and includes much better manual focus aids. It starts up in a fraction of a second, and even when feeding a five year-old 30/Mbs Sandisk SD card, it effortlessly fires off a dozen or so RAW images at what must be nearly 8FPS. That last part maddens me. Why? Because the X-Pro 1, which writes files of the same size, writes to disk dozens of times slower than the X-T1. If anything proves that the X-Pro 1's hardware is the bottleneck, it is the X-T1. The X-T1's focus aids are so good that I feel completely confident with my super-sharp Nikkor 50/2 Ai and its amazing stable mates, the 28/2,8 AiS and 85/1,8K (Ai-modded). In fact, even without focus aids, I am mostly confident that I can achieve usable focus in almost any situation. The D800's OVF is still superior, however. It doesn't wonk out when the light changes, it is absolutely instant. It doesn't flickr under fluorescent lights. And it is more contrasty and highly resolving. But the X-T1 isn't leagues behind. It is as good as it gets in the mirrorless world. With the addition of the magnification window next to the framing window, instant and perfect manual focus is attainable. The X-T1's body is the same size as a Nikon FM. It is light and rather sturdy. Unlike the flimsy flip-out LCD screen of the A7r, the its flip-out screen is solid. There are no gaps between its bezel and screen. Both baseplate seams are magnesium alloy and are stronger than both the X-Pro 1 and the ridiculously breakable A7r base plate. Controls are in exactly the right spot and boast positive feedback when nudged or rotated. Reviewing images is instant. Batch delete functions are possible. The X-T1 brings so many necessary improvements to the X series- improvements that justify both the existence of the mirrorless camera and the X series. And I'm smitten. This is a camera worth investing in. I don't quite know how I feel about Fujifilm's lenses. In a few years, I may invest. For now, I am not confident that the X series is a strong enough market force and I don't want to throw money away. But if any X mount camera will sway the market, it is the X-T1. And whether the X-T1 succeeds in tipping the market in Fujifilm's favour or not, I will enjoy using it to shoot some of Nikon's best Ai/pre-Ai lenses with no qualms.